Traditionally, human factors and performance psychology are low down the priority list (or non-existent) in medical training. Students graduate from medical school with ‘academic-style’ mindsets, arguably ill-prepared for the practical, performance-dependent branches of medicine. In short, our training predisposes us to the yips. But change is afoot. 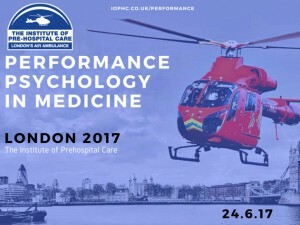 On 24th June, I attended the London Performance Psychology Symposium at the Blizard Institute, close to the Royal London Hospital. 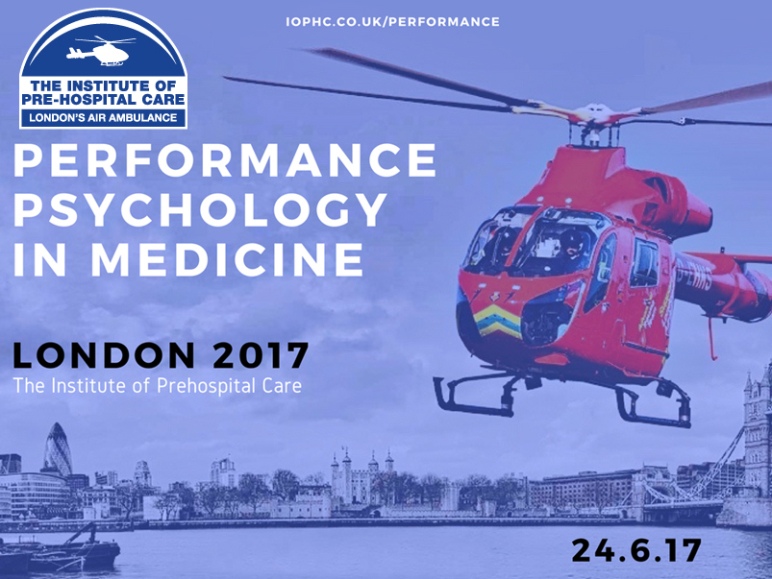 Organised by the London Air Ambulance Service, it was the world’s first medicine-specific performance psychology conference. For a Kool-Aid drinker like me (I’ve blogged on mindset and performance here at PonderingEM and over at St. Emlyn’s), it was unmissable. The line-up included a Who’s Who of thought-leaders from the EM/critical care/prehospital community, along with elite performers in distant disciplines. All were united in their quest for performance optimisation. The day was jam-packed full of pearls, but my favourite take-home points came from the worlds of sport and stand-up comedy. She kept returning to this mantra. You have no direct control over the outcome of a rowing regatta, much like you have no direct control over patient survival from life-threatening illness or injury. There is always the chance, whether racing a boat or team-leading a paediatric cardiac arrest, that winning will elude you, despite performing at your maximum. The only controllable elements are how diligently you approach the steps required, and how well you sync up with your team. By placing all your focus on real-time practicalities (processes), as opposed to the overall goal, the result will usually take care of itself. Fascinatingly, when Mel started to feel stressed or overwhelmed by the moment, it would physically manifest as a specific hand/grip position on her oar. When she noticed that happening, she would use it as a trigger for re-directing her attention to her basic processes and nothing else, which nipped any potential cognitive or physiological self-sabotage in the bud. This strategy can be applied to resuscitation. When a case becomes chaotic and unmanageable for the team leader, it should trigger a cognitive stop-point. That moment is an opportunity to summarise the case thus far (sharing his/her mental model) and to focus the team’s attention on crucial basics – e.g. 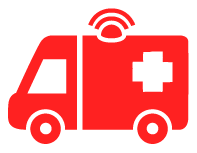 good quality CPR, rhythm and pulse check logistics, a recap on interventions performed and when the next is due (e.g. next adrenaline push) etc. Reigning in the team from a state of entropy is achieved by getting back to basics. Once order has been established, more nuanced performance and clinical reasoning can be layered on top. The reality for athletes, particularly in Olympics-centric sports such as rowing, is that 4-year training cylces culminate is as little as 6 minutes’ peak performance time. That is pressure of unmeasurable magnitude, and the danger of choking is real. In the 2016 Olympic final the crew were in last place until past the half-way mark and Mel described how she resisted the temptation to fixate on their position or obsess about how much time and energy she had invested in that short moment. Instead she focused only on her processes. She felt the team’s collective processes ‘strengthening’ as the race progressed, and in the final stretch they managed to pip the Romanians into third place and seize a historic silver medal. By taking complete ownership of the basic practicalities of their jobs and focusing on nothing else, they achieved sporting immortality. In medicine, we do not have to wait four years for a big performance to be required – it is an everyday occurrence. But the same rule applies. We must take full ownership over our performance and never allow personal standards to drop because of perceived external pressures. If we resist the urge to dwell on how high the stakes are, how busy the department is, or the implications of a poor patient outcome, and remain doggedly focused on our processes, we will be better doctors. 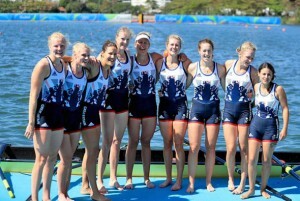 Mel’s source of inspiration was her teammate and role model, five-time Olympian, Fran Houghton. Fran always claimed that rowing was an ‘art form to be mastered, not a series of races to be won’. Focusing on processes was such a core of Fran’s race mentality, that she is on record as saying she would rather lose with processes intact than win ugly. For an individual whose career will largely be judged on the number of medals won and nothing else, her attitude speaks volumes. Fran has recently retired as one of Great Britain’s most decorated female rowers, and her influence on Mel’s career was palpable. 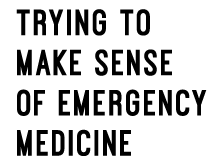 Perhaps medicine is an art form to be mastered, not a series of patients to be saved. Whilst I am sure that reflection might not jive with how many doctors feel about their jobs overall, I firmly believe that the more we focus on our processes, as opposed to saving lives, the more lives we will save. We must recognise that medicine is a performance-dependent pursuit, particularly on the frontline, and our focus must be on ourselves before the patient, so that we can serve them to the best of our ability. At the end of my career, I hope I will be able to reflect on a consistently diligent and disciplined approach to my performance at work, and an insistence on respecting the crucial basics, rather than on specific patients with good outcomes or any accolades won/prestige posts earned (still pending obviously!). I would like to think Mel and Fran would approve of that intention. Best of luck to Mel who is now an FY1 (first year intern) at Hillingdon Hospital. It will be fascinating to see where she ends up. I loved the contrast of having professionally funny people talking to a room full of serious types at a serious conference! They made the event feel beautifully light on its feet, whilst making hugely valuable contributions to the overarching conference themes of innovation and exploration. My take home message from this session is that failure is important, and must be embraced, no matter how painful. Junior stand-up comedians spend night after night failing to make people laugh, but each of those failures is critical for eventual success. A poorly executed delivery or subject matter that falls on deaf ears provides invaluable guidance for iterating the following performance. Eventually, a hilarious session of comedy will have been sculpted from rubble. I’ve blogged before about ‘Black Box Thinking’, and how healthcare has much to learn from the staggeringly brilliant aviation industry in terms of institutional attitudes towards failure and near-misses. The world of stand-up comedy might provide equally poignant insights. 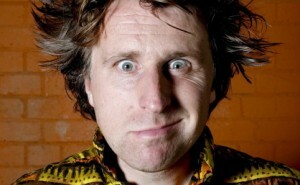 Comedians have nowhere to hide when they are bombing on stage, and it must feel like the loneliest place imaginable. I’ve heard it is the only job in the world where you are judged every five seconds. And yet they keep dusting themselves off and getting back on the horse, knowing that each tumbleweed moment, hurtful heckle or stuttered punchline, is a rite of passage and necessary self-harm en route to mastery. Without constantly putting themselves in a position to fail, and then honestly and actively reflecting post-failure, a comedian’s career would never get out of first gear. 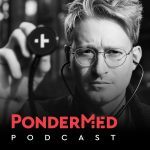 The unfortunate reality of medicine, unlike the comedy club, is that there are plenty of places to hide when we fail, and so precious learning opportunities are frequently squandered. If elite performance is what they seek, junior doctors must take a leaf out of the stand-up comedy playbook and actively chase after moments of failure. Wrong decisions, bodged procedures and impossibly stupid questions should be celebrated for their lessons, and never be deemed unforgivable by supervising senior colleagues, the inherent nurturers of this process. A novel way that Milton demonstrates mistake-ownership during his routine is to lead a collective ‘boo’ from the crowd when a gag falls flat (‘on three, everybody boo… one, two, three…’). He says it puts his audience at ease, and earns him a sure-fire laugh. What a pro. Mind you, I’m not sure I’ll adopt that strategy the next time I intubate the oesophagus! Many thanks Dr. Evens and his team for a fantastic day of learning and inspiration. I’m already excited to see who they line up to speak next year.